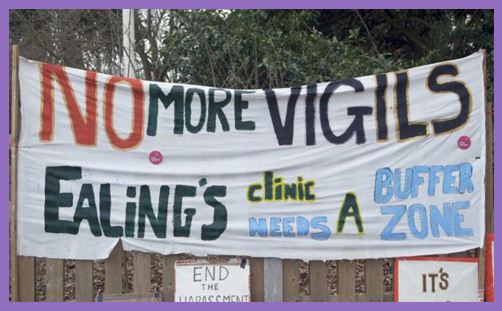 Women who want an abortion will no longer be harassed by zealous pro-life protestors outside the Marie Stopes clinic in Ealing. No longer will they be bludgeoned with choruses of ‘Baby murderer!’ or barked at with threat’s that they’ll ‘go to hell’. 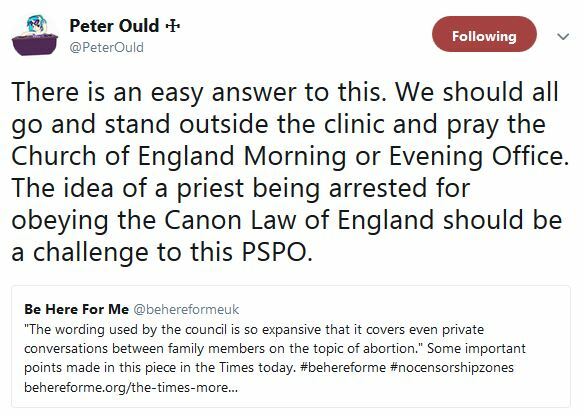 A Public Service Protection Order (PSPO) is to be imposed outside the clinic, banning all protests and vigils which might cause alarm or distress to those seeking to access Marie Stopes’ family planning services (as abortion is now termed). PSPOs are usually introduced to tackle drinking in the streets or other anti-social behaviour. This is the first time one has been used to prohibit peaceful prayer. How many priests or compassionate counsellors actually shout ‘Baby murderer!’ or ‘Go to hell’ at vulnerable women isn’t known. Nor is it entirely clear why they would do so. All the evidence suggests that those who protest outside abortion clinics in the UK do so quietly, prayerfully and considerately. Their essential mission is to show love to their neighbours: to provide housing to young women who need it; financial support to those who can’t afford to keep their babies; and moral support to anyone who asks for it. They want to save a baby’s life, not damn anyone to the everlasting fire. They sit on deckchairs wrapped in blankets and light candles and pray – for the mothers and their babies; or, if you prefer, for the women and their foetuses. You tend not to change anyone’s mind by howling ‘Baby murderer!’ at them. And yet this is what Ealing Council have judged is happening, and now they are calling on the Home Secretary to legislate for the introduction of ‘safe zones’ outside every abortion clinic in the UK. It seems that the lawful freedom to protest (even prayerfully) must be curtailed when it might cause alarm or distress to the objects of protest. You might well question the potential consequences of this, for what public protest does not have agitators who cause others to feel harassed or intimidated? Should we ban all protests outside schools and hospitals? Should we ban animal rights activists from intimidating scientists who dissect mice or harassing those who enjoy hunting with hounds? By this logic, should not all simultaneous counter-protests be banned if the decent and law-abiding primary protestors might feel alarmed or distressed by the actions of their antagonists? What happens when pro-life advocates feel distressed by pro-choice protestors waving their placards of female emancipation and baby-hate? 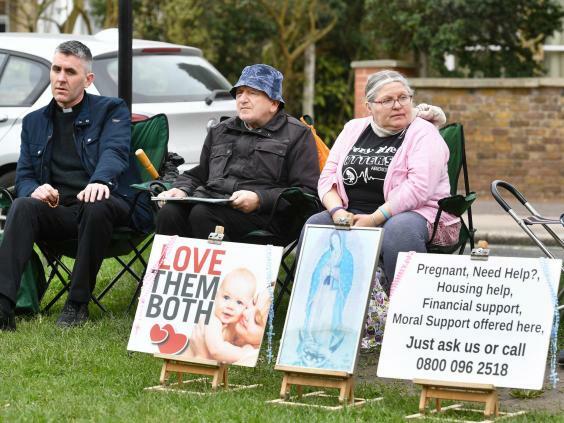 What Ealing Council has effectively determined is that pro-life Christians are free to pray for those who seek an abortion (and their babies), but they may not do so up to the final moments of decision outside an abortion clinic. Their prayers must be performed in private; their candles lit in secret. If public prayer makes people feel upset or distressed, it has no place in the community. Silly, of course: the local Anglican church in Ealing supports this PSPO. CofE priests generally find it difficult to get worked up over the stilling of heartbeats in the womb. If something is lawful, it must be decent and moral. That’s basically the line. There are those who reasonably take the view that protesting and praying outside an abortion clinic is too late: the decision has manifestly been taken to terminate. But this is to limit God, for who has not drawn back from the precipice at the last moment? The world’s sorrow brings death, but Godly sorrow brings repentance that leads to salvation. Christians should be free to preach (and pray for) this in any public space – just as Marie Stopes are free to advertise their family planning services, regardless of the sensibilities of the religious (or, indeed, the tears of grieving fathers).